Eritrea has defended its election to the United Nations Human Rights Council (HRC), arguing it is party to several human rights treaties and has submitted periodic reports regarding its record. The statement issued by the information ministry, follows an outcry by human rights activists and groups, who challenged the election of Cameroon, Somalia and Eritrea on HRC. While Eritrea routinely jails its dissidents, and has been previously called out by the United Nations itself for arbitrary arrests and detention, the information ministry statement describes such as ‘challenges’. ‘‘Like all Member States, Eritrea faces human rights challenges, and it recognizes the work ahead towards better and higher human rights standards,’‘ reads part of the statement. The statement however pledges to harmonise existing legislation to meet international human rights standards. 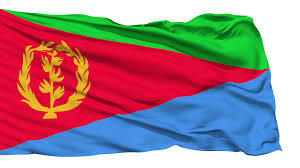 While the statement rightly points out that ‘Eritrea is making important contributions to regional peace, stability, and security in the Red Sea and the Horn of Africa’, critics insists that the country must improve its human rights record. They call for release of political prisoners, an end to the indefinite national service and opening up of the political and democratic space as some of the key reforms that would set Eritrea on the path of respecting human rights.